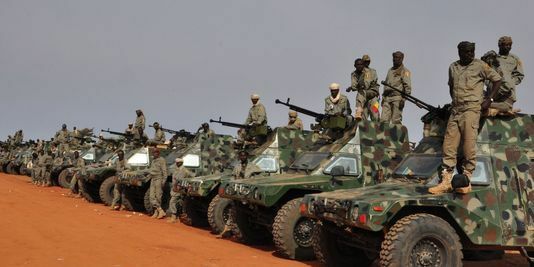 The Sahel G5’s Joint Task Force will be created by the end of the year, Mali’s Foreign Minister and Sahel G5 council of ministers president Abdoulaye Diop announced on Thursday. The Malian minister was speaking at the 4th joint meeting of EU experts and representatives of the G5 Sahel. Approved on February 6, 2017 by the leaders of Burkina Faso, Chad, Mali, Niger and Mauritania, the Joint Task Force is expected by the end of the year. “We believe that this year, the force will be a reality,” Diop said, highlighting the resurgence of insecurity in the Sahel. “This is just a reminder that it is urgent to put these mechanisms in place to be able to respond to the threat,” he added. In an update on preparations for the establishment of the force, Diop recalled that on April 13, the African Union gave the go-ahead for the creation of the force, and that “now we are also looking forward, within the next few weeks, to being able to have an endorsement by the UN Security Council so that we can operate very clearly. “Things are already happening between us (Mali) and Burkina, between us Niger and Mauritania. But this joint force will allow us to do so in a much greater scale, Mr. Diop continued. “The European Union is politically supportive of this force. We will evaluate all the aspects to help both financially and logistically. It is also the reason why we are gathered here,” Angel Losada, the European Union special representative in the Sahel said.